Plus, the labor period is pretty daunting. It’s hard to tell when you’re experiencing it. So, most mothers look for signs beyond the usual symptoms like vomiting, contractions, and water breaking. You’ll be surprised how many women have unusual signs of labor. When does it happen and what to expect? The labor transpires when the contractions of your tummy are heightening up at a regular pace as your cervix starts to gradually open and shrinks. But it’s hard to tell and can be complicated to know exactly it starts. But mostly, you'll be noticing contractions or other signs of labor that are quite odd and unusual. Early labor ends when your cervix is ten wide. The early labor stage is the longest and comes with three phases. Dogs often have empathy over your current conditions. They are quite sensitive to your change. They will follow you, lay down your feet or whine when you’re out of their sight. According to Animal Plane﻿t, dogs are recognized for their knack to sniff changes in the human body. You might have heard of a dog detecting a tumor or cancer with 98% accuracy. A study stated that even cancer has a particular smell and your pet dog can sniff it out. And now that you're ﻿﻿pregnant, you have your unique scent. You might not know what your dog is thinking, but that pup will go over you. Call it being protective or fearful, as your tummy grows big, a dog's reactions will vary. Do you know why? Doctors at American Pregnancy say the body yields around 50 percent more body fluids for the baby to grow well inside your tummy. Swelling is normal. Body liquids are needed to prepare your physique to support the growing baby inside of you. They also help prepare your body frame for delivering the baby. If you’ve noticed that you’ve become swollen in a short period, you could also be experiencing Preeclampsi﻿﻿a, an ailment that happens only during pregnancy with symptoms like high blood pressure, bloating, and protein in the urine. It’s a bit typical with first-time mothers. For days, you’ll be preparing your “nest” for the baby to be delivered by the stork to its comfy…nest. This instinct is Mother Nature’s way of putting you in the zone. There will be an increase of energy and adrenaline and desire to raise the baby well. In another study, it says that this instinct has been in women since the rock age. 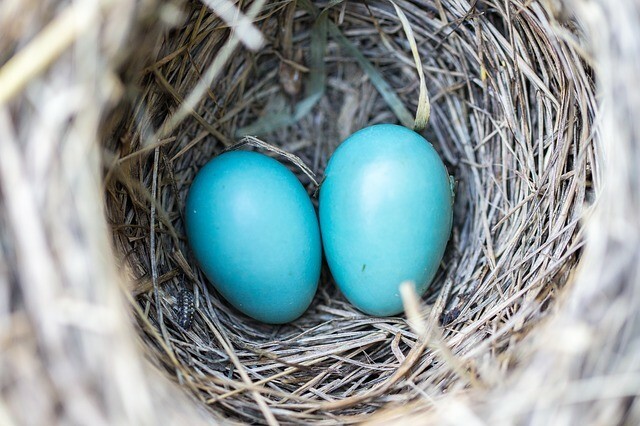 A psychologist doctor at McMaster University in Canada said that nesting is not a lighthearted activity. 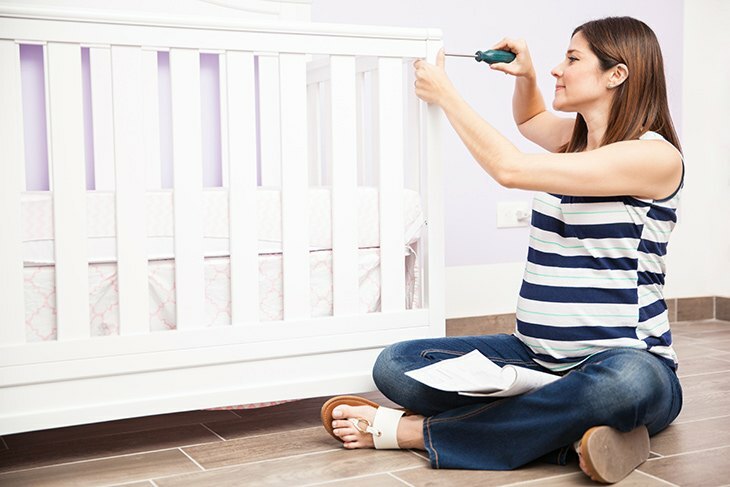 Women expecting children treat nesting as a higher form of preparation for motherhood. It happens when the due dates draw near, and your motherly instincts kick in. This instinct is also the same with other animals. Some things you have been doing are like choosing outfits for your baby, order birth announcements, vacuuming, preparing the bedroom and more. Not quite an odd and unusual sign of labor. And even though your friends would tots understand your situation, they would be the ones who’d be weirded out by your behavior. But you can blame that to your high estrogen and progesterone levels. It’s clear why you’re like that. You’re excited because a child is growing inside of you, you’re miserable because of how you’re holding up, and being angry at yourself for not performing well on mommy duties. But, as the BabyCenter Medical Advisory Board have stated, if you have frequent and intense mood swings, to the point that they last longer than two weeks, you might be experiencing depression. And if this problem is hindering your everyday routine in life, seek counsel. Complications are left untreated, it can disturb your little angel's well-being and poses a risk of going through early labor as well as postpartum depression. When you’re pregnant, you feel big and heavy because the baby is just growing in your tummy. If you have observed this sign of light-weightedness, it means your kid has dropped has dropped into your pelvis area. This sign is called “lightening,” and happens at the third semester of your pregnancy. First-time mothers usually felt this occurring two to four weeks before delivery. Mothers who have children before will only get to experience when labor begins. The Web Medical Doctor said that there would be a change in the shape of your belly during the lightening stage. Your breathing becomes easier, and heartburn happens occasionally compared before when the baby drops. But there will be an increase of pressure on your bladder and, therefore, make you urge to urinate more often. However, if you feel an escalation in your pelvis area or the rush feeling that your baby is really “going down,” call a doctor so she can assess if you are experiencing preterm labor. Diarrhea can happen, and it’s not a pretty good sign. Before labor, your body has to adjust to accommodate your baby’s passing through the birth canal. Some doctors believe that the contraction of muscles by the emptying of the bowels is a way of making room for the baby. Pooping episodes are not that critical, except if they are complemented with fever, or blood in stools. It is a typically brief experience but can cause dehydration if accompanied by recurrent unsettling of the stomach. As expecting women loom in their due date, diarrhea will happen. Pooping is just the way by which your body prepares for labor and does not say your baby is coming out right now. To ﻿﻿prevent diarrhea, try changing your food diet. Natural laxatives like prunes, milk products and spicy food can cause diarrhea. Avoid eating fatty or spicy foods for a while as they have been proved to be difficult for the body to break down and sometimes can cause diarrhea. Sugary drinks like soft drinks or energy drinks should also be avoided as they too can disturb your stomach. 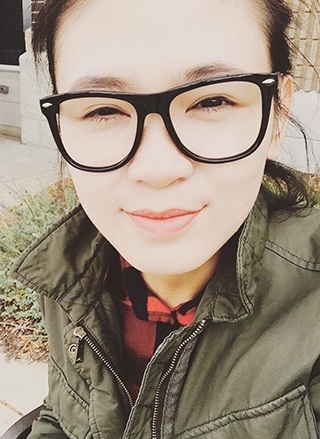 Hormones called androgens are responsible for the acne outbreak since it produces lots of oily substance in your face. When they have mentioned that you glow during your pregnancy, hope that they are not talking about that oily face of yours! It won’t cause you any problems except annoyance. According to the March of Dimes, women who are susceptible to acne breakouts when they have their menstrual periods will have a greater chance of getting that pregnancy acne. 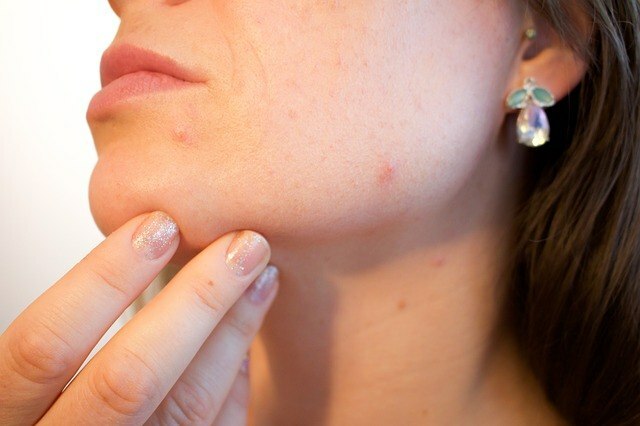 You can apply general health methods to control your pimples. But using acne medicines should be a precaution. It can affect your pregnancy as well as causing birth defects to your still unborn child when he’s out. Just wait after nine months and your hormones would be back to normal with your acne a lot more controlled. If you’re no stranger to the world of birthing you know what will happen. But if you’re a new mom, here’s what’s to expect during your early stage of labor. It will last up to 12 hours. 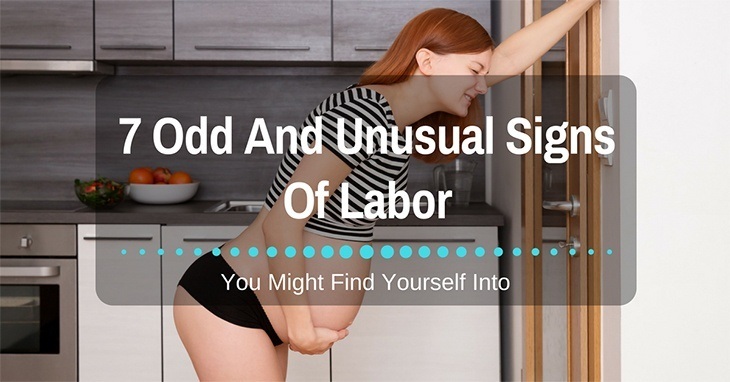 You will be having a lot of weird, unusual signs of labor. Contractions that will last 30 to 45 seconds. Your cervix will open up to 4 centimeter. Above are the unusual signs of labor. And by unusual, we mean it’s something you can’t even understand yourself. Have experienced them for yourselves? We bet there are still a lot of odd signs out there and we want to hear them. So, comment below and share your thoughts! I have two dachshunds and yes, they follow me everywhere, even more so than they did before which is both cute and annoying, I don’t even see them when I walk, that’s how big my belly is. The most unusual signs of labor for me is my sudden passion for aromatherapy and my obsession for cleaning the house. I’m usually very messy so when I suddenly get the urge to clean all the drawers of my Ikea Hemnes dresser it’s obvious something is up! Thank you for your experience. That sign is so special and wonderful. Share it to everyone.